Baro, town and river port, Niger State, west central Nigeria, on the Niger River. Originally a small village of the Nupe people, it was selected by the British as Nigeria’s link between rail and river transport; its solid bank—rare along the Lower Niger—could be used for loading river craft with Northern Nigeria’s cotton crop. Although the 350-mile (565-km) Baro–Kano railway was completed in 1911, it was shortly eclipsed in importance by a railroad built farther north, and the Baro–Kano line is no longer in use. Most of the town’s local trade is in sorghum, yams, rice, millet, fish, palm oil, shea nuts, peanuts (groundnuts), and cotton. Swamp rice is cultivated commercially both by farmers in the vicinity and at the government’s irrigated rice projects at Loguma and Badeggi. 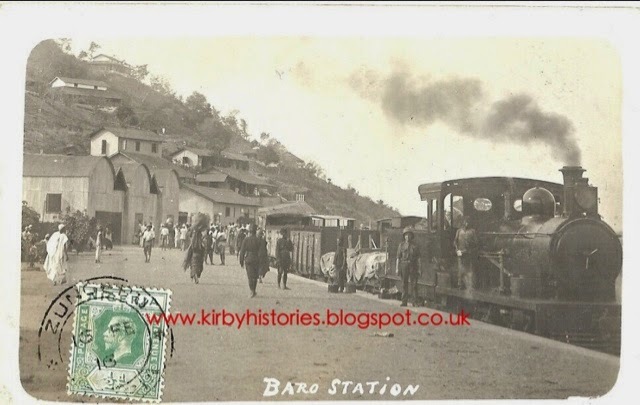 The Baro-Kano line came to be known as the Lagos-Kano line or Nigerian Railway from 1912, following the amalgamation of the Lagos Government Railway and the Baro-Kano line. In the 1955, the Nigerian Railways combined came to be known as the Nigerian Railway Coorporation.